What Is Wealthy Affiliate About Scam Or Legit? 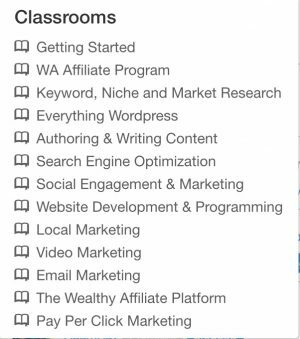 It’s been a while since I started studying online at Wealthy Affiliate. Many people either believe that everything you meet online and which is about making money. Is created to earn money just for you who buy such programs. Yes, there are very few places online where you get something for your investment. But on the whole, there are very far between the right platforms. Now it’s been over four years since I wrote about Wealthy Affiliate for the first time. I might have created one once every two years. With all the new initiatives that have arrived every single year. Now it’s not because I do not sometimes have to buy any program or membership. I’m trying to get my money back when I’ve tested it. But sometimes it’s so difficult that I have to give up. But in the vast majority of cases, I get to get the box in before it becomes a pleasure. Before I started working on my website the way I learn here. There I was a member of something called Empower Network. Another of the most significant scam numbers that a lot of people have paid expensively. Fortunately, it has been closed down by the authorities. Good enough, many members have probably lost a loss. Unfortunately, one of the unscrupulous owners has reopened after the same almost same concept. But unfortunately a reality online. They are not the only ones trying to sell dreams online. I had hoped that this online trip had given me some delicious alternatives to the Wealthy Affiliate. Therefore, this website becomes more like a hunt for dangerous online programs. Yes, it has developed into a real scam hunter. It has never been my intention. As you probably know, I’m a single father in full time. I live and live in Scandinavia Copenhagen to be more precise. 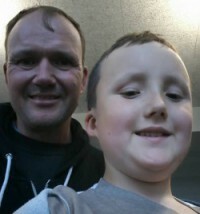 I have been alone with my son for the last many years. I do not need anything and am happy with my daily work. But I’ve always had an entrepreneur who sits inside. Yes, I like the idea that I’m part of a business. Yes, part of the competition it is doing business. If you know me, then you also know that I have in several types of business. For example, I have had a trucking company. I had a fleet and employees. The problem is that when you have so much setup. Then it also requires a significant economy. Yes, you must have many contracts to keep your crew up and to run. It can be very stressful, and when my son started school, I felt it was time for me to get more free time with him. The easiest way to do this is by finding a job and having significantly less operating costs. So I sold it and regretted neither I did or did it. But at some point, the entrepreneur appears to me again. I’m starting to search for alternatives. As you understand, I’ve tried to tap some of the golden buttons we meet online. I know that many of the other members of WA have done the same thing. But when you create a business for one-hundredth of what it usually costs to produce a traditional company, you still have to pay for it. What it costs is to open yourself up as a human being. You need to find a work rhythm and produce a significantly more massive amount. Yes, unfortunately, things hang together. You can not just buy an expensive course and then believe you can be completely free from the labor market. When we talk about creating a business without investment, then you have to work hard beforehand. Keep it with other small entrepreneurial projects. What is different is the hunger we have to succeed in our projects. My mission has gone and been an attempt to make you have a healthy choice before you start building an online business. Although I’ve looked for more healthy alternatives, I have to see that it may be. But I’ve just found it yet. Yes, you really can be anyone. When I see myself, I am the single parent with an entrepreneur in my stomach. You have some other perspectives than I have. But at least we must have a thing. The need for our online base. One thing we most likely also share in common is that we want to be independent of the labor market. We also have the wish that we decide where and when we will work. As said, your motive is very different than I am. I do not hate my day job, and even though I change between times, I do not hate everyday life. On the other hand, I do not like the idea that when I’ve spent most of the day making money for someone else. Then I only get a grant for my expenses out of it. Your argument may be different. Your hunger for success can also be very different to mine. But what we have in common is the desire to create a risk-free environment around us online. You also have not made so many more attempts I have made. You also do not have to spend the same amount of stupid money on creating your brand online as I have. You can create whatever you want online or need. You learn about affiliate marketing. About how to build a profitable website in any niche. But there is also instruction on how to get your local business online. You can also quickly build on the things you learn here. But a common denominator for all the things you learn here is that you have to work hard with it more or less every day. What we are talking about is a real business. A real business requires time to build up. We are very different from humans. We also have different reasons for doing the things we do. I do not need to become a millionaire. I just have to be financially free. You might need something else. The price: Free but if you want the entire package, it’s $ 49 a month or $ 359 a year. Here you still have the opportunity to get an extraordinary offer in November where you can do it, so you have an annual price of $ 299. But I have to refer to reading the rest so that you can make a decision based on your needs. There are several forms of help. The technical part of it has a team that works 24/7 if you spoil something on your website. Then they have it saved so we can go back and start from before you made the changes. That part takes place very quickly so you will not wait for more than a couple of minutes. We are over one million members with a mentality where we offer each other help. That is, I am an expert in an area. Then the culture is that I help if you ask. The chat is also used just to hang out and discuss either what we learn here. Or just make new friends. Many members are doing training so that we can enjoy others. If you use the search box at the top of the page, in many cases, an instruction will appear on the same topic as you are looking. Here we are back to the chat. There are a lot of people checking in and out. As either, you have made a lesson that gives you the answer to your question. One thing that over time you will find that all the respondents are also in training. One of the things you may have heard online is that you should get a personal mentor. One can hold onto the plan for your business. Such one can guide you in the right direction. It works in a slightly different way here. For here, the whole community is here to help you. On the other hand, you have one that has brought you into the program. The person gets a commission of what you pay to be here. He will also get whenever you have a question or write an article. From here, they can contact you to help you further. The whole genius of this society is that we pay each other in advance. It seems that you do two things for others and receives one. Here I speak about comments on your website. There may also be feedback on it. It is part of the culture itself. It also makes it always worthwhile to help others. Here we are talking not only about comments and feedback. No, we can also help each other with unbelievably many things. An example might be that I know something about producing a video. Others know a little about small codes that can help design. We talk about creating a personal business. Based on a topic of your interest. You build your own and get advice from others who have experience with similar issues. In addition to that, there are stringent rules for what you must and can not. Means that we are all protected from spam within society. All teaching is put together in a way, so you have to check it out before moving on to the next module. That is, you’ve learned the step you’ve achieved before you go to the next level. 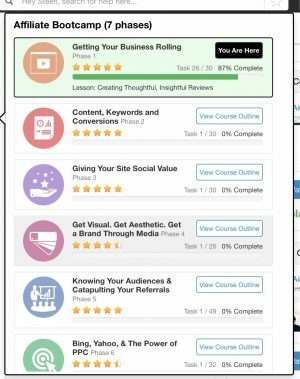 Of course, you can browse the training without doing the tasks on the way. Here’s so untouched much teaching, you will feel your head will jump due to too much information. Then there is a live event every week. Good enough, it’s Canadian time so, unfortunately, I usually fall asleep. Of course, the optimum is for them to live so that you can ask your questions here. The times I’ve been able to keep me awake have given me so much extra. They deal with all the things that you can touch as an online entrepreneur. The host is called Jay and has held several hundred. Everything is so you can see them over and over again if there is something that you have not entirely caught. Everything you learn here is in line with the rest of society. The value you get here. Do you want to pay a lot of money? Here’s just a part of being a premium member. We all have our ranking in society. Those who help most and are most active are rewarded and get a title as ambassador. It takes a lot of work to stay and continue to be an ambassador. Many opt to struggle to stay there. Spend time more rationally on their own business. Here you find or have a niche that you want to build your website around. Here it is vital that you burn for the niche you want to work. I tried to burn a niche without feeling it was a success. But basically, you learn to find your passion for building your website up to now, making it an authority that you can generate an income over time. It can be a very profitable business if you do what it takes to succeed in just about any niche. 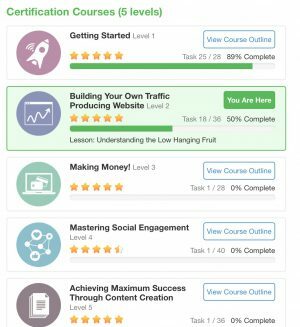 If you are interested in low money niche, then this is the course where it takes place. Is where you learn to promote the actual Wealthy Affiliate. But it’s not just the program that you learn to write. This niche is a very competitive one of the kind. Is where we must work much harder with our business on many points. End if we have found a niche that touches another topic. But many of the products are info products. They provide a completely different commission for a sale. Yes, in some cases, you can sell something that will give you a completely different type of recurring income. Some of the models that you can sell to your followers are not always the rooms. I am talking about building an online base. The base is a website. You may feel that you have a base through social media. But in no event does it give you the authority of a website. When you develop a website, you build authority. You write regular context, as you need when you are website owner. Then you are building a real business. A company that you own. 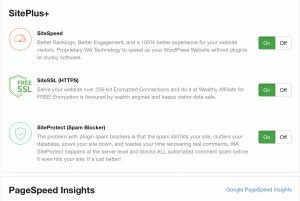 The platform you are going to work with is WordPress. It is the CMS (content management system) platform as there are the most websites on the web-based. Here are a myriad of different templates. So you can build a page in any niche. Here I only think of the free themes. Just believe me, and their features are a jungle to find out in over 2500 themes that you can choose. Then there are all the Pro themes that you can choose in. Here is an even bigger selection. I know it sounds a bit complicated. But in fact, it’s straightforward to get started. It takes less than 5 minutes to get a website online. However, it may take several years to build it up, so you get the authority online. But fortunately, this is also a training platform where you learn the step by step. With siterubix as the tool itself, you get a tool that I think is a little more than what many other providers offer. Start last year. Missing hosts have begun to see the importance of the page being. You need to have a page on which your users. The mobile phone has become one of the devices in which we have started searching the search engines. Our patience is very limited on the devices. Therefore, it’s crucial that your page is fast. Into the system. 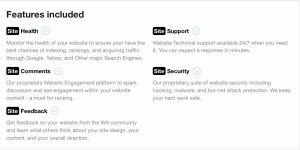 You do not have to install a plugin to protect your page. It is before your users arrive on the page. Then there are some of the more common things that are part of society’s new pill. A fixed pay pre-effect has a couple of years ago. You merely exchange comments with other members. You give two comments on the other’s sides and can receive one. ‘That’s something that can have a positive effect on your articles. That other reader can see that there is activity on your side. Yes, Google also rates some of the words that appear there. Similarly, you provide input on two sides and get one back. It provides an unbiased assessment of your work. As you can see, it’s about helping. When you do, you will also get help. Ok, you still have to learn and do the work yourself. But that you can always get someone else’s help, and attitude towards what you are doing is worth much more than a private mentor. 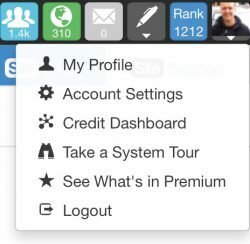 Many hosts have a panel where you can control your data and use several different CMS systems to build websites. But here you can only add data to pages that you own. It takes place via the FTP folder. It is the only access you have to your database. The other things like mail and other similar options work in an effortless and user-friendly way. Last year, a writing platform, where you can write and make your articles and pages. If you only work from your computer, it’s one of the best writing tools I’ve met. You can create templates, so your page becomes uniform. Massive library of pictures that you can download and use. You can save or publish directly to the website. When yes, the keyword tool is directly linked. Yes, one of the essential effects when writing texts. Is where you can both find inspiration in your context. But more importantly, you can find low-competitive keywords that in the organic search. It gives you a handy way to get some of your posts on page one. This tool, which is an indispensable part of working online. Keyword tool Is the writing platform. Yes, you can find keywords, transfer them, and then type the post immediately. I also use Google Planner, which works fine. But the workflow is incredibly dense with it. Jaaxy as the tool has it all under a tool. In fact, it will say that you can transfer and save effortlessly. You save so much time here that you are actually in gear when the context is to be. Nobody can predict next month but the keywords you get here contribute to giving your context a boost in the search. If you are persistent, there is no ceiling on how much traffic you can create for your website. Here is the list long. Let me give you some of my experiences here. You have a website parked that is on all joints and edges. We move into an entirely spam-free environment. Here is always help and retrieval, both from the support team, owner and other members. For some time, you will find it difficult to absorb all the information here. It may seem incredibly overwhelming if you are brand new. It is a real business that you build and will throughout the process feel many up and down trips. There are many hours of hard work, and you will exceed some of your limits. Here I can only say that the two driving forces behind this society are very active among the members. They are found in the chat every day. They are both in there by sending a private message. If you are active here, you will meet them and many others who are exclusively here to help. I can only say that it is the complete educational package I have met. I participated a couple of years ago in a weekend course that deals with a few of the topics that are affected by the actual teaching here. I paid far beyond what it cost to be a member here for several years. I do not want to mention them all. They cover several topics that are essential for receiving answers. In many cases, too, you can find teaching from other members. As I said, I have been a member for some years now. The price has not risen during that time. And do not come to it either. Here is no resale. Yes, you have a complete setup. You can use it to create an online business. What we mainly work with and around is affiliate marketing. But the longer you have been training and doing the daily things. The more natural you will have, you will move to entirely different business forms. All for about a dollar a day. The service and the solution are unique to what you have to pay elsewhere. When yes you can get a portion of it completely free. Do you have an entrepreneur in my stomach as I have it? Is it a distinct platform to build its brand. If you have a business in advance, then it must have visitors. They can best up online. Are you a student and missing something extra, why not? Do you have a job that wipes you up, why not? Even if you think so, it’s not rocket science. But it requires you to start now. You are not living tomorrow. Your time will not be different from you waiting. I help you all the way through. But I can not do the job for you. Check it out without taking your credit card. When you meet people every day as in every way and with each of their approaches, have created a way of life through affiliate marketing. So, in some cases, I have to say that it sounds almost too good to be true. But that is not the case. For a standard denominator for all those who are successful here. Is the amount of work they are behind it. Yes, the two things are insignificant. 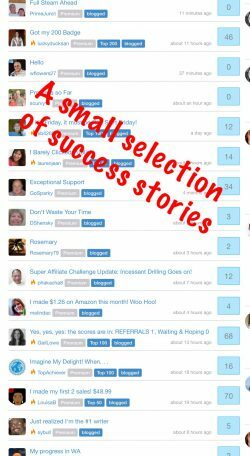 Here are so many unique success stories that I could spend several hours describing each one of them. Many of whom I network with daily really live the internet lifestyle. They can travel while working online. The fun at all is that everyone can do it. perseverance and the ability to push himself all the time. As I have said before, I have not found anything either online or offline, where I have received so much value for a relatively small payment. As you know, my motive has always been to help make a decision. Wealthy Affiliate University is not perfect, and it will never be. It will always be in constant development as long as it exists. That is also the reason why I have taken up the thread and wrote a new assessment of society. There has been so much new since I described it lately. Regardless, there will always be a lot of disagreement about what is real and what is not. Some may still think that anything you encounter online is hocus pocus. Flat and scam. It is also on many points. It’s not a fast-paced experience no matter what you’re looking. As you can understand, I have been at an official Danish course in SEO. There I had access to a fraction of what I have at WAU for an insufficient period. Another question is how WA can keep on the net when many other training platforms close after a couple of years. Have to keep pushing forward. We learn to do a sustainable business here. Then the teaching also follows the directives that the search engines publish. It will also say that what you build holds. It is despite the fact that the search engines correctly google occasionally shake the bag and find out that they said it was a good idea last year. Good this year. But can not punish you if you stick to and work out from fundamental principle. That’s what you learn from WAU, and that’s the reason I’m getting excited every year I’m here. I have got so many good online friends here that alone the social is worth it. Confidently, knowing that all my work is wholly secured both to myself and to robots and people from outside who finds it fun to download websites. To me it is priceless. I do not know how you have it. You want to try the strength of your future. Want to become an authority. Or just the local craftsman who has paid too much for no visibility. Yes, no matter who you are and what you are doing. So do not let this go over your head. Give it a try, it does not cost anything, and you can go from here with ten lessons and two websites that are your own and will always be. Whatever you choose to use, I’m either here or in social media. Just write, and we’re debating the debate. PS while you’re here just like sharing with your online friends as well. Yes, just press one of the buttons below. I really enjoyed the way you introduced yourself and your experiences with different other networks before meeting WA. Moreover, I enjoyed how you presented WA step by step and I even rediscovered the affiliate bootcamp that I think I’ll need to attend! I hope that your review will help many people to take their destinies in their hands and to start with WA. So thanks for your good job! I have at least had a great deal of joy from all the things I have learned over the years. If you’re looking for a business model that you can start without a significant investment, then affiliate marketing is an excellent place to start. With WA, you get everything you need. Knowledge and a real toolbox. Thank you for writing this article about what is wealthy affiliate about. Is it a scam or is it legit? Before I answer, I must be honest and declare that I am currently a member of Wealthy Affiliate. I really like that you emphasise that it can work for single parents or people who need to juggle lots of responsibilities. You can start your own online business for very little money and you have the chance to work hard and grow it into something really good. Of all the tools that you spoke about here, my favourite one has to be the SEO keyword selection tool – Jaaxy. This has helped my posts get ranked far quicker than I could have imagines and also to drive more traffic to my website than I could have ever imagined. I was just wondering which tool do you find the most useful for your business? Hello Glen! Thank you for your kind words. Yes we have everything we need here. 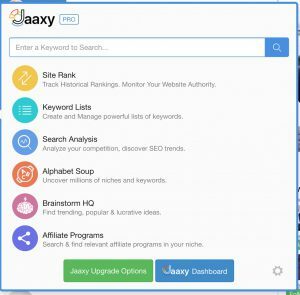 Physically, I’d like to make it clear that Jaaxy is one of the best keyword tools I’ve used. But unfortunately, it only works for our English pages. One of the things I have most appreciated is the network. Being able to get an answer easily and quickly is something that has helped me most. 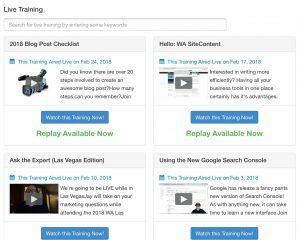 The fact that we build a real business that affects our interests is probably where I think WA stands out among the amount of training pages online. Thanks for your great review about wealthy affiliate. I agree there many programs they may seem goof at first out there, like empower network — but what they truly are doing is just trying to make you spend a lot of money so they can become rich. 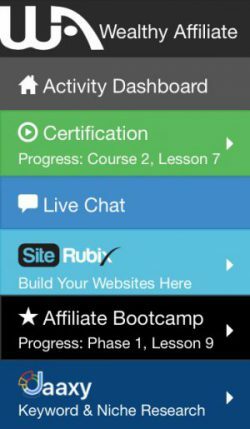 Wealthy affiliate however is very cheap to join, offers excellent training, and provides you with all tools needed to become successful. I highly recommend this to anyone and everyone wanting to build an online business. I spent a lot of time and lots of money on the skins that are online. But I have begun to learn that the only way I can create success. 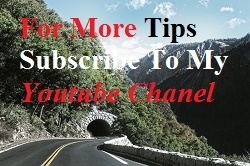 Is doing the hard work that is really required to get a proper base online. WA is simply the place where all you need is gathered.